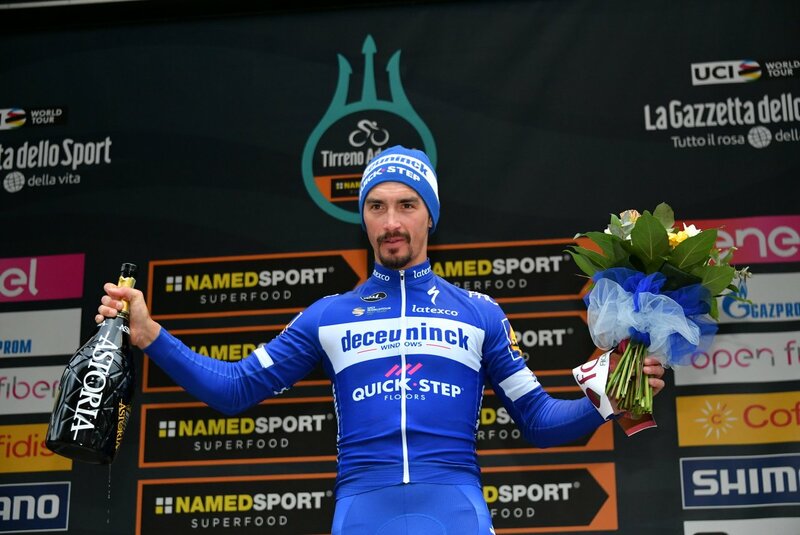 Julian Alaphilippe (Deceuninck-QuickStep) won stage 6 of the Tirreno-Adriatico today, after the French rider beat Davide Cimolai (Israel Cycling Academy) in a sprint finale in Jesi, while his teammate Elia Viviani rounded out the podium with a long range effort to take third. 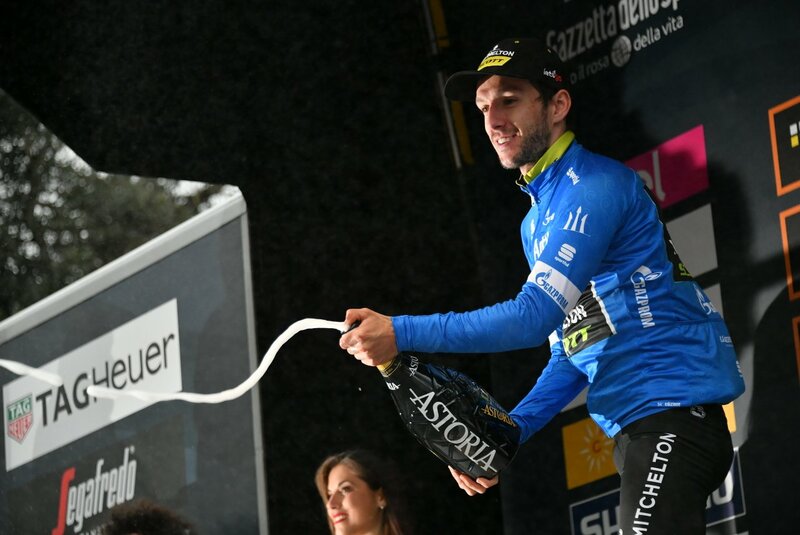 Meanwhile, Adam Yates (Mitchelton-Scott) retained his leader’s jersey after finishing safely in the peloton, who continues to hold a 25-second lead over Primoz Roglic (Jumbo-Visma) ahead of tomorrow’s final 10.1 kilometer time trial along the seacoast. Jakob Fuglsang (Astana) remains in third place at 35 seconds behind, while Tom Dumoulin (Sunweb) is in fourth at 1:55 back. Today’s stage was animated by an early seven-man breakaway group that included Davide Ballerini (Astana), Ben King (Dimension Data), Gijs Van Hoecke (CCC Team), Mirco Maestri (Bardiani-CSF), Igor Boev (Gazprom-Rusvelo), José Joaquin Rojas (Movistar) and Dayer Quintana (Neri Sottoli-Selle Italia-KTM). From there, the escapees went on to establish a maximum lead of three minutes over a peloton. 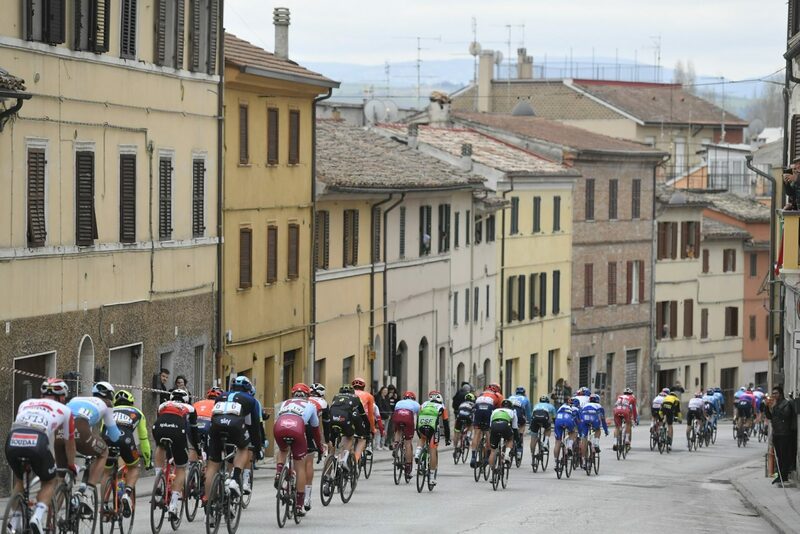 By the time the leaders reached the penultimate lap of the 12.5 kilometer finishing circuit around Jesi, their advantage had been reduced to 1:40. With the peloton fast on their heels, Ballerini and Rojas decided to ride clear, while the peloton set about reeling in the remnants of the breakaway group. Ballerini remained the last hold-out until the Italian was swept up by the peloton with 3 kilometers remaining. While the sprint train of Deceuninck-QuickStep quickly took control of the last kilometer, it was CCC’s Greg Van Avermaet who was the first rider to open up his sprint, followed by Max Richeze (Deceuninck-Quick-Step). Richeze proceeded to take Alaphilippe along with him, while their top sprinter, Viviani, found himself meters back. 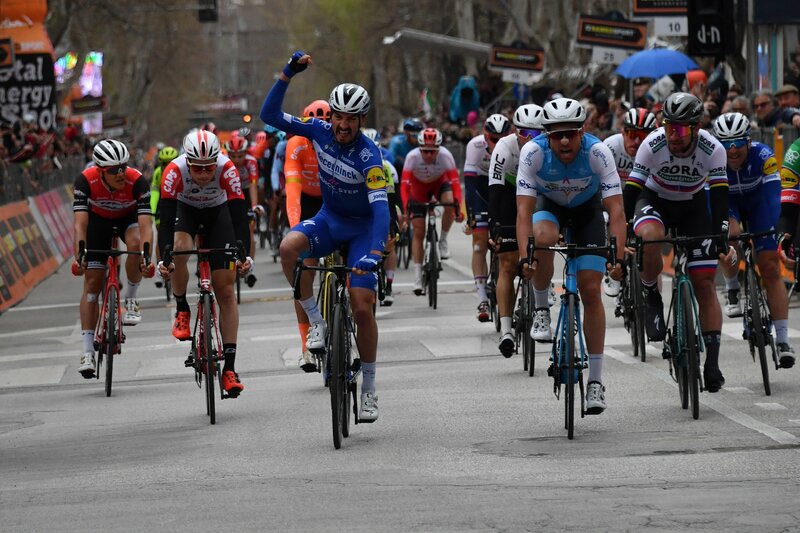 Alaphilippe showed to have the better legs of the bunch, crossing the finish line ahead of Cimolai and Viviani, while AG2R La Mondiale’s Clement Venturini and Peter Sagan completed the top five of the day.